Montblanc Corporate Gifts Johannesburg are a beautiful way to show your appreciation for someone, be it the renewal of an old partnership, or the beginning of a new one. It also makes a great acknowledgement of service. A Montblanc is an heirloom pen. These magnificent luxury pens are a victory of form and function and have the name and reputation that makes them a truly notable gift. 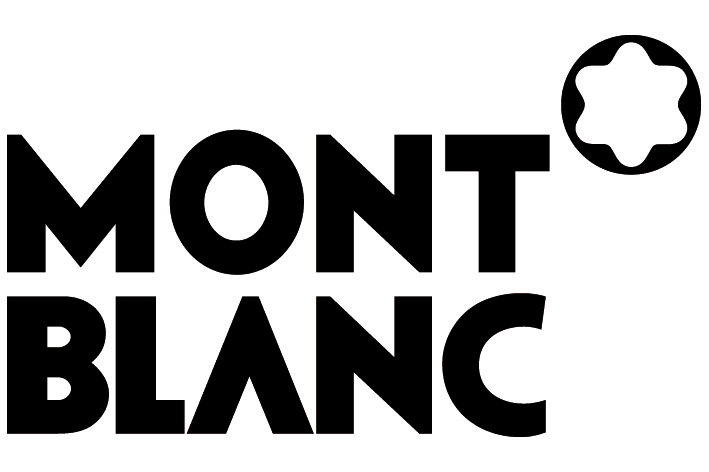 The signature Montblanc Snowflake logo makes it very recognisable, and is representative of the Mont Blanc peak when viewed from above. This logo was adopted in 1913. This is an executive brand that makes beautiful, high quality products that you can be seen being used by celebrities like Hugh Jackman, printed larger than life in the windows of high end jewellers. Montblanc has a wide and beautiful range of luxury pens, wallets and other leather goods as well as fragrances, watches and cufflinks. Still, their pens were their first products and remain possibly one of their most well-known items. 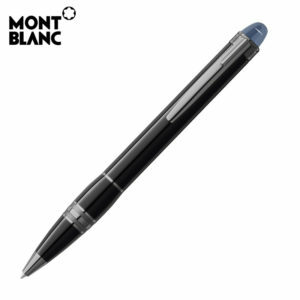 Montblanc Pens in Johannesburg – Corporate Gifts Johannesburg is a supplier of Montblanc products in Johannesburg. We supply you with superb Montblanc pens to use as corporate gifts. To truly personalise this gorgeous gift, we can engrave the plaque in the presentation box for you. Giving someone a Montblanc pen is giving them something that they can hand down for generations. These exquisite pens can be treasured family heirlooms. A Montblanc pen is a symbol of status, a true treasure, and has been for over a century. When you give someone a Montblanc pen, you are honouring them. And that is why we at Corporate Gifts Johannesburg are honoured to be suppliers of Montblanc Pens in Johannesburg. Luxury pens are the focus of the Montblanc range, and the following two are our bestselling Montblanc pens, and we’d like to let you know exactly why they are so popular. The Starwalker Midnight Black is a gorgeous executive pen. The barrel is made of glossy black precious resin, accented with a ruthenium plated clip and ruthenium plated rings around the barrel. And all of this stunning design is topped off with a clear cap-top that has the signature Montblanc snowflake logo suspended inside it and visible from the top. So as not to compromise the integrity of this beautiful precious resin barrel, we engrave your message on a plaque that goes inside the sleek presentation box that each Montblanc pen comes with. This stunning mastery of design is the Montblanc Starwalker Midnight Black. Montblanc PIX Ballpoint – is a model that is inspired by the clean, structural elements of the Bauhaus architectural movement. The cap and barrel are made from Montblanc’s signature black precious resin and features beautiful, platinum coated detailing. The PIX pen is named for the historical Montblanc PIX trademark. PIX was what Montblanc originally called their innovative pencils, and they carried the trademark over to the ballpoint pens when they began to produce them. The registered trade mark can be seen beneath the clip on genuine Montblanc pens as counterfeit prevention measure. With all this history on top of its elegant appearance, it’s easy to understand the popularity of the Montblanc PIX Ballpoint. Leather Notebooks are another product offered by Montblanc. They create gorgeous high quality notebooks with the utmost attention to detail. Our Meisterstuck notebook is a prime example of that. Luxury Leather Notebook – this luxury leather notebook is an absolutely stunning executive gift. The covering is made of full grain, black European leather that has been polished to achieve that distinctive Montblanc gloss. The leather jacket contains place for cards and a pen. Beneath that lustrous leather jacket lies a Montblanc branded notebook. We can brand this notebook for you by embossing a logo or name into the leather of the jacket, giving it an elegant finish. Please not that this item does not include a pen and is only the Montblanc Meisterstuck A5 Notebook. 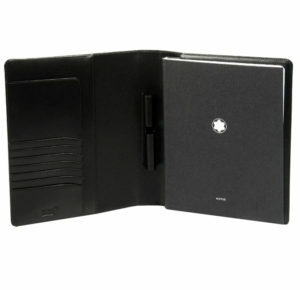 Montblanc Leather Folders as another beautiful executive gifting item that we supply. These folders and pouches are made to fit a variety of products, from iPads and other tablets to business cards and iPhones. These come in a selection of colours like black, cognac, navy and burgundy and are made from genuine leather. Designed to fit snuggly around your technology, these pouches are subtly branded with the Montblanc logo as a gentle reminder of the quality of the product. The iPad cases also have a flat pocket on the back and zip up to keep your tablet safe and sound. The phone cases are fitted for an iPhone five and are made from high shine European cowhide with a microfiber inner to bring your phone screen up to that signature Montblanc deep shine. These are just a taste of the gorgeous Montblanc Leather Folders that we can supply you with. Montblanc Leather Wallets come in a variety of styles for both gentlemen and ladies. 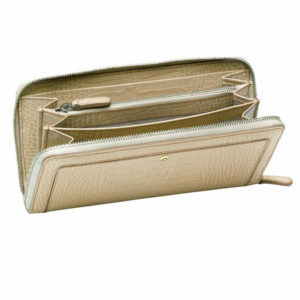 This elegant wallet is the kind of luxury item that makes for a perfect gift for an executive woman. The wallet is made from genuine Russian Calfskin that has a Desert Sand gloss finish and is the lining fabric is printed with the Montblanc logo. Inside this gorgeous wallet, it has two pockets, one zipped coin pocket, a bank note holder and eight card holder sleeves. The metal trimmings are coated with glossy light gold. It even has a back pocket for even more space. La Vie De Boheme is truly a perfect marriage of form and function. The Meisterstuck is an incredible example of excellent craftsmanship, as is to be expected of s product produced by Montblanc. This is a stunning executive gift for men, beautifully made with full grain, black European cowhide with the subtle Montblanc logo embedded into its high gloss leather exterior. Inside, the wallet has the Montblanc name branded across the Jaquard lining. This truly is a mastery of design. 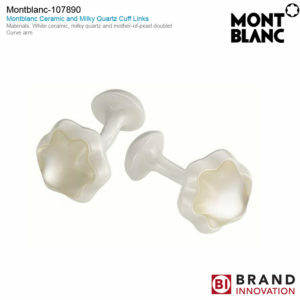 Montblanc cufflinks are a stunning accent to a formal suit, and make for a beautiful executive gift. Montblanc has a range of cufflinks made from different materials, such as ceramic cufflinks that come in either black or white, inset with black onyx and milky quartz respectively. The range of materials also includes titanium, stainless steel, silver and red gold. These exquisite cufflinks make the most gorgeous gifts. These stunning products and the history behind the Montblanc Company are why we are so delighted to be able to offer you Montblanc Corporate Gifts Johannesburg.